Pascal Gross saw a penalty brilliantly saved by Marcus Bettinelli in the first half (25), and Fulham compounded the hosts' misery as Andre Schurrle scored his second in two games from a superb Jean Michael Seri assist (43). Fulham got a second as Aleksandar Mitrovic tucked away a rebound (62) for his fourth of the season, but Brighton halved the deficit through Murray just five minutes later as the hosts broke (67). Mitrovic went from hero to zero in the other box, handling to give Brighton a penalty, which Murray buried to level things up (84). The result means Fulham and Brighton stay level on four points in 11th and 12th respectively, with one win in four games each. Brighton pressed early on, and won a penalty midway through the first half after Murray was clipped by Luciano Vietto. Gross struck it well, but Bettinelli tipped the ball away low to his right. Two changes for Brighton after the defeat at Liverpool; Bissouma came out, replaced by Gross, and captain Dunk was back in for Balogun. 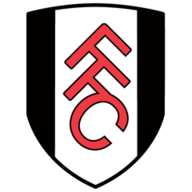 For Fulham, Alfie Mawson made his first Premier League appearance for Fulham, with Joe Bryan dropping to the bench. Cairney was out with injury, so Anguissa came in for his debut. Murray glanced a header inches wide from the resulting corner before Fulham took the lead through summer signing Schurrle, getting on the end of Seri's lifted through ball to swivel and hook past Mat Ryan from six yards. Solly March missed a golden chance to level after the break, slamming over the bar when one-on-one and Mitrovic made him pay at the other end. Wrestling to win the ball out wide, the Serb saw his low shot saved well by Ryan, but he duly tucked away the rebound, meaning he has scored more goals in English league football than any other player since his Fulham debut in February (16). 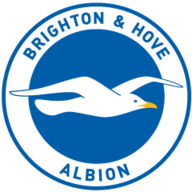 Brighton were soon back in it as Murray tucked under Bettinelli from Anthony Knockaert's unselfish pass after Fulham left too many players up the pitch, changing the mood inside the Amex. They sensed an equaliser and got it with six minutes remaining when Mitrovic controlled a dropping ball with his arm and Murray stepped up to slam into the top right corner from the spot. Sub Ryan Sessegnon nearly poked home a winner for the visitors, but Ryan got down well to thwart him as the points were shared. 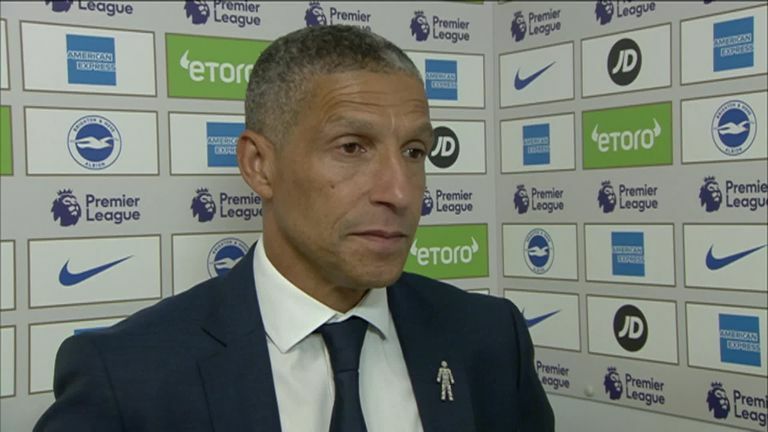 Chris Hughton: "[I'm] delighted, I think it's nothing less than we deserve. When you go 2-0 down at home against a good side at keeping possession, you've got to be grateful for what we've got. "I've got to give credit to our lads, we dropped our levels after we missed the penalty and that was the change in the momentum. But I thought after they scored their second the reaction was excellent, and we could have even won it at the end." 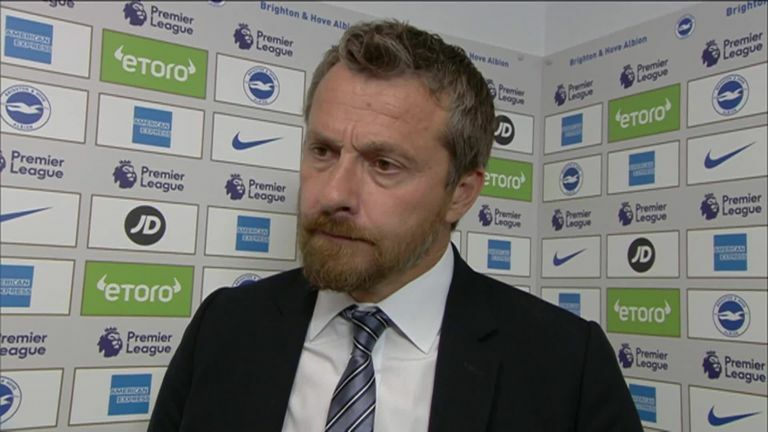 Slavisa Jokanovic: "We have mixed opinions about the game. We must be disappointed after playing professionally for one hour, offering a really solid performance at 2-0 up. "This is our first point away from home, and this point probably shows our ambition, our way to be competitive, to be in all of the games. This isn't an easy place to come, it's the Premier League, and it can be hard for us if we make some kind of sloppy mistakes." Brighton have won points after going two goals down for the first time ever in the Premier League. Fulham are without a win in their last six league clashes with Brighton, drawing one and losing five. Brighton have been awarded 10 penalties in the Premier League since the start of last season (scoring seven), a joint-high along with Crystal Palace. Fulham goalkeeper Marcus Bettinelli made his first penalty save in league competition since March 2015 vs Huddersfield. What would VAR have changed?In the lead-up to Brighton's first penalty, Murray was in an offside position initially, but did not touch the ball as Knockaert then passed the ball back to him in a new phase of play. With the help of VAR, Murray may have been adjudged to have been involved in the play, with Fulham's defenders marking him, but it would have been close. It is likely VAR would not have reversed the decision to give Brighton a second penalty for Mitrovic's handball. Particularly in the opening period as Brighton pressed hard, Fulham's defence were watertight, and much of it came down to Odoi. He made a team-high five clearances, and his passing accuracy was 89 per cent, with more passes than any other player (65). He showed attacking intent, too, bursting through the Brighton midfield on a couple of occasions and causing the back line unexpected issues. It was Alfie Mawson's Premier League debut for Fulham, but Odoi starred. Brighton go to Southampton on Monday Night Football on September 17, live on Sky Sports Premier League, while Fulham go to champions Manchester City on Saturday September 15, after the international fixtures.